in august, my town below pikes peak experienced the worst of the summer’s floods caused by the giant waldo canyon fire burn scar above us. 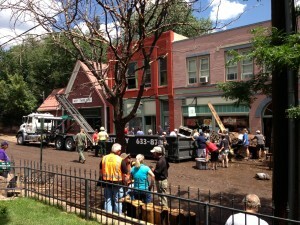 it was more like a giant mudslide that raced through manitou springs, primarily on the street where i lived. many were displaced, homes were destroyed, life lost, and 42 of my neighbors lost their cars. 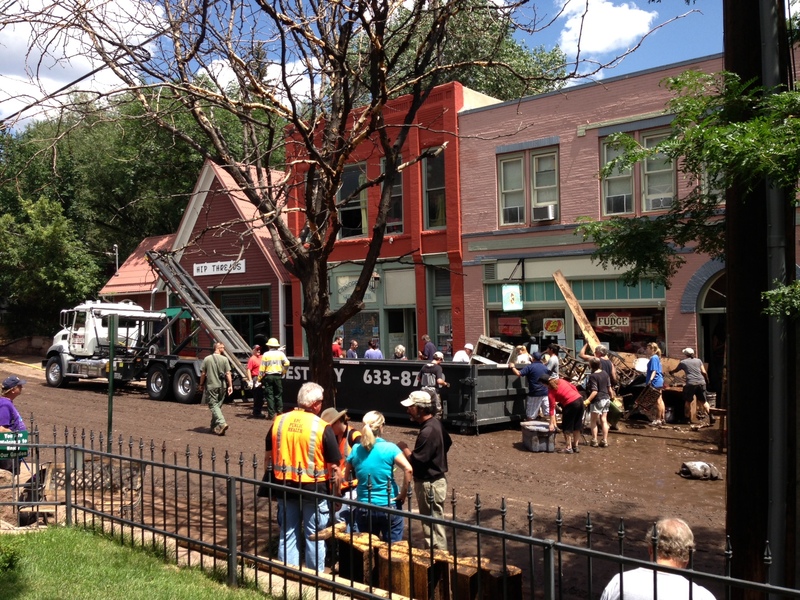 because my building is built directly on top of fountain creek, i lost everything in our old brick building’s giant basement. after not being able to live there for two months- compounded by the anxiety of predicted floods for the next decade- i had to leave this beautiful home of eight years. 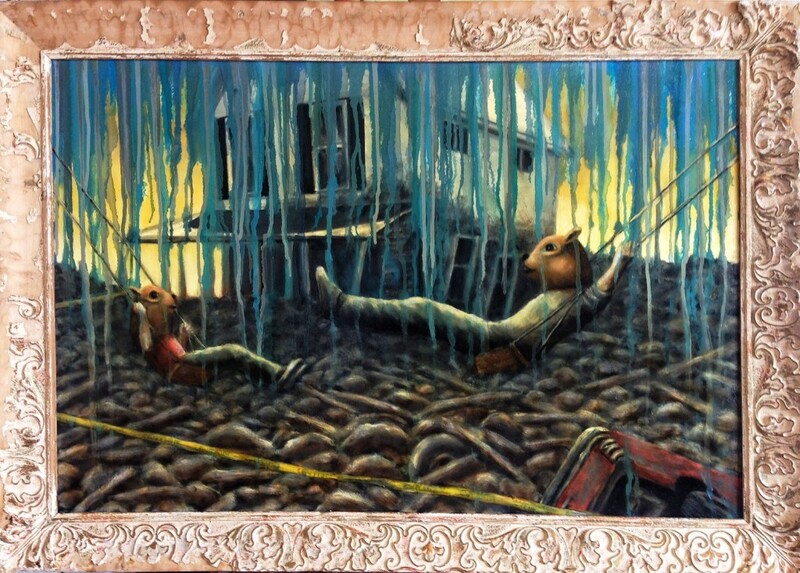 this painting was done for our show ‘fire fire flood’ at the modbo. this show aimed to provide local artists the outlet of expression of our two summers of devastating fires and floods in the colorado springs area. the home in this painting is down the street from me near the mouth of the canyon that unleashes it’s flow down into town. it was absolutely destroyed- knocked off of it’s foundation and filled to the ceilings with debris- much like my basement, which took a month to remove the thick mud and debris that filled it to just inches from the ceiling..